For over 100 years, Westport has been known as an arts community. World-famous painters, illustrators, sculptors, dancers, musicians, writers and actors lived here (and still do). This was the home of the Famous Artists, Famous Writers and Famous Photographers Schools. The Westport Country Playhouse is nearing its 90th birthday. The Westport Arts Center thrives. The arts are everywhere — including our schools. Westport’s Public Art Collections of over 1,800 pieces (including a Picasso) hang in every building. Children are exposed to music, theater and dance from pre-school on. It’s in our town’s DNA, and it’s passed along lovingly to every new generation of kids. Less than 10 miles away, it’s a different story. Children in Bridgeport don’t have the same chance to see, enjoy and be inspired by the arts. In chronically underfunded, understaffed schools, music, drama, painting and dance are afterthoughts. Among the many inequalities our society tolerates, exposure to the arts is among the most pernicious. For nearly 40 years, Neighborhood Studios has helped bridge the gap. The nonprofit organization offers arts education to underserved children and those with special needs throughout Fairfield County. Programs include an art institute for children ages 4-12; a dance academy for those as young as 3; theater for 6-12-year-olds; a Saturday studio; a music school, and a conservatory for teenagers serious about the visual arts, media, music, theater and dance. It’s hands-on, dynamic, fun. Neighborhood Studios offers hope, and changes lives. All told, more than 1,500 greater Bridgeport youth, ages 3 to 21, are served by after-school and summer programs. They’ve discovered — as their Westport peers have done — that arts build engagement in school, raise self-esteem, increase graduation rates and prepare people for life after high school. It’s a small operation, with a big mission. And some of Neighborhood Studios’ driving forces are Westporters. Rita Appel retired this winter, after 18 years as a Westport public schools speech and language pathologist. She also served as president of Temple Israel from 2006 to 2010. As her term ended, she looked for a new volunteer project. Dorothy Freedman — longtime Westporter Leo Nevas’ niece — told her about Neighborhood Schools. Appel liked its focus on students with special needs. As someone who’d grown up loving arts and dance, she was particularly intrigued. 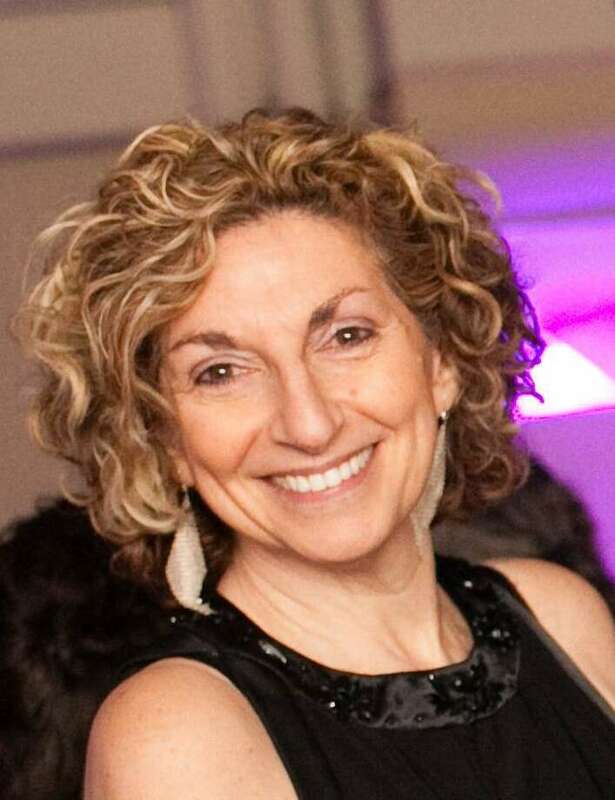 At a Westport Arts Center gala, she loved a flashdance performed by Neighborhood Studios students. She quickly signed up to “adopt a camper” for the summer program. In 2014, Neighborhood Studios youngsters performed at her wedding. They did that same flashdance, as her husband broke the traditional glass. That year, Appel joined the organization’s board. She’s now in her second year as chair. She serves with several other Westporters, including Robert Jacobs (vice chair). Laurie Gross (secretary) and Michael Loeb. The previous chair, Westporter Harold Levine, was a noted advertising executive, and a lifelong champion of education and the arts. Neighborhood Studios was especially close to his heart. He was 95 when he died last year, and active in the organization to the end. The newest member of the board of directors is Thomas Scavone. His name is familiar to Westporters: He’s the school district music and visual arts coordinator. “All children deserve the opportunity to create, in an enthusiastic and safe environment,” Scavone says. Of course, running Neighborhood Studios takes money. Many Westporters help out as donors. Local philanthropies like Newman’s Own and the Bedford Family Social Responsibility Fund provide grants. Then there’s the gala. This year’s event brings Pilobolus Maximus to Fairfield University’s Quick Center for the Arts (Sunday, April 22, 7 p.m.). It’s a perfect fit. For 45 years, the Pilobolus dance company has toured 65 countries, appeared on the Academy Awards, garnered awards and earned a Grammy nomination. Pilobolus Maximus takes the most diverse and impactful elements of Pilobolus — some old, others brand new — and assembles them in a series of continually changing worlds. The company tests the limits of human physicality, exploring the beauty and power of connected bodies with performances that range from the irreverence of a wild circus to the filigree of classical work. It’s the kind of thing Westporters have enjoyed for years. This month, their support will help Bridgeport children get the same chance. For more information about Neighborhood Studios, call 203-366-3300 ext. 228, or visit www.nstudios.org. line.net. His personal blog is danwoog06880.com.